A slection of recent London novels and poems crossing our literary radar, reviewed by Rachel Holdsworth and Matt Brown. Note: links lead to the publisher’s website. We recommend you buy these books in one of London’s many independent bookshops. Childhood on the streets of Pimlico was much like childhood anywhere else in the 1960s: bad parents, good parents, bullies, a penn'orth of sweets and regular trips to the cinema. 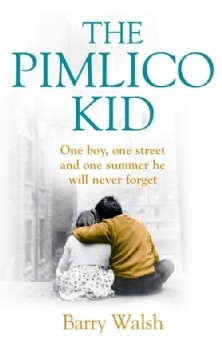 In The Pimlico Kid, Barry Walsh conjures the pitfalls of early adolescence so deftly that the novel could be subtitled 'The Tom Sawyer of SW1'. We follow the story of Billy Driscoll and Peter ‘Rooksy’ Rooker as they go about their teen lives, mostly on the streets, bomb sites and garden walls of Pimlico. The pair get into plenty of scrapes, confronting the local bully, trespassing in interesting places and generally mucking around. The story often strays into dark places, with incidents of domestic violence and sexual predation. These are deftly handled — shocking without ever swamping the narrative. As the book goes on, our characters begin to explore their own sexualities. Awkwardness turns to tentative confidence, but the course of true love can often be bittersweet. You'll be weeping like a hormonal teen by the end of it. 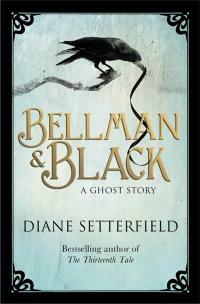 Diane Setterfield follows up her 2006 Gothic bestseller with another themed around death. The central Bellman of the tale is William, a fatherless boy growing up in Victorian Oxfordshire, not expected to make much of himself but who turns into an extraordinary entrepreneur, revitalising the fortunes of his uncle's mill and extending benevolence to all his workers. He has a loving wife and wonderful children but, within a terrifyingly short space of time, suffers debilitating loss. Enter Black, a mysterious figure who gives Bellman the idea of opening an emporium of mourning in Regent Street, a place where every stage of grief can be comforted and sold. But does Black even exist? What's really driving William? What's wrong with his daughter? How talented is Diane Setterfield to enthrall us with details of textile manufacturing and the minutiae of mourning? Why, as a London website, are we telling you about a book that spends its first 200 pages near Oxford? (It's good, that's why.) And what, when all's said and done, does everything have to do with the rook that William killed as a boy? Read on. 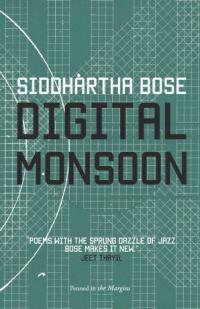 This new poetry collection plunges into the scuzzy, frothy, beautiful underbelly of London. Forget odes upon Westminster Bridge, Siddhartha Bose is all about Hackney Wick, getting under its skin and the people who live there (including himself). Some of the poems are moments or feelings captured in time, some tell short stories, like meeting a girl at Hackney Wicked or scoring some drugs. It's multi-ethnic, perfectly diverse London, with the second half upping the ante into the future with cyborgs and dystopia and general Bladerunner nightmares. But what we most love about this collection is how the imagery explodes dirtily in your mind. You may never look at cities the same way again. Published by Penned in the Margins. We can also recommend Mr Ma and Son by Lao She. Originally published in the 1920s, and re-released in some territories by Penguin, the novel charts the lives of the titular duo — Chinese immigrants making a life for themselves in Edwardian London. This isn't the stereotypical Fu-Manchu world of Limehouse opium fiends and petty criminality, but a superb Dickens-on-a-diet melodrama of changing fortunes and unrequited love. As a sometime Londoner himself, Lao She is able to give a realistic account of the prejudices that Chinese people faced in 1920's London — but also reveals what those same immigrants thought of their adopted countrymen. A splendid read, if you can track it down.